I have this thing where I am too lazy to get a haircut sometimes. It just seems like so much effort to go and sit and wait and then sit and get your hair cut. Blah. I mean I used to like it but that was when I was kind of friends with my stylist. My hair was trimmed every six weeks like clockwork and I even got my eyebrows waxed on the regular. But then she moved and I’ve spent the last 6 years trying to find a great stylist that I want to go back to. I’ve walked out of a salon trying not to burst into tears. “You’ll LOVE her!” No, I didn’t. So I go from super short pixie to past my shoulders regularly. It’s like it takes that long to get over the most recent bad hairstyle. And right now we’re deep in touching my neck and shoulders and it’s driving me crazy. 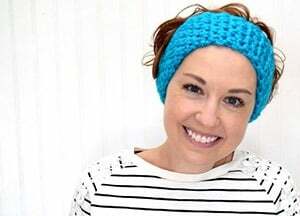 Time for ponytail holders! Except every time I get my hair cut I give my stash away thinking that this time will be THE time I keep it up. And then I don’t. So I was kind of desperate for something and I made a ponytail holder out of jewelry making elastic since I had a huge spool of the cheap stuff. Fast forward and I started beading them. Now I wear a few on my wrist all of the time. They’re pretty decoration on my wrist and they look nice in my hair! 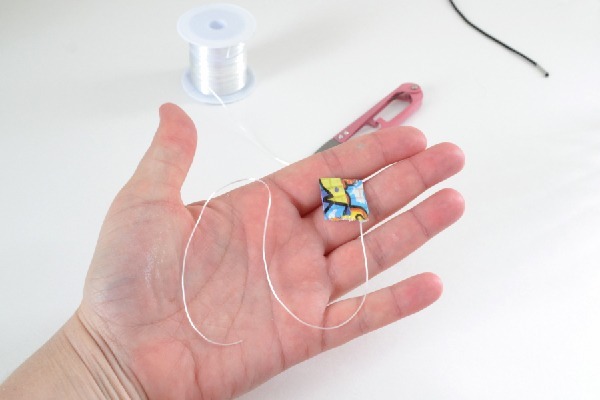 Plus you can use up those little bits of small beads that seem to accumulate after a project! I made about 5 of these before I got my method down and I gotta tell you, this way of doing it is sound! 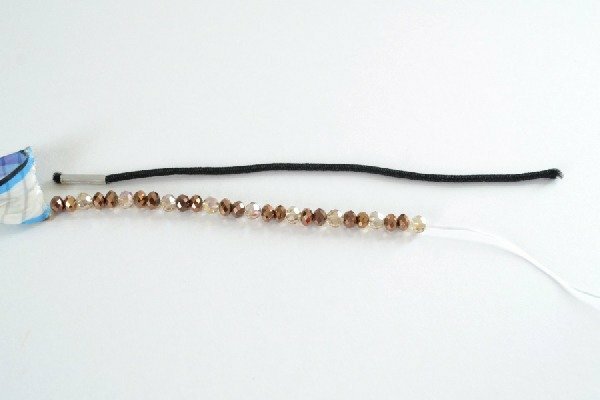 Cut about 5-6 inches of jewelry elastic cord. 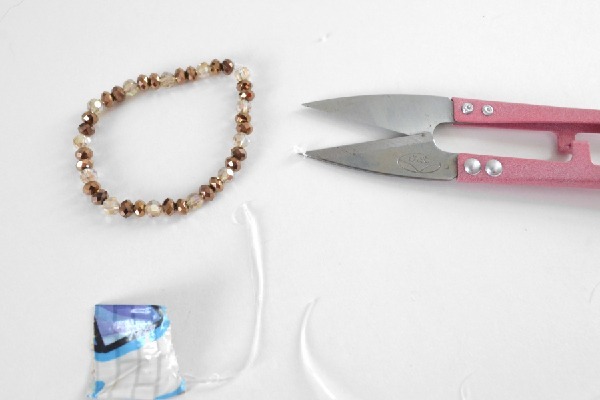 Put some tape on the end to prevent beads from slipping off. This is especially important if you’ll be doing this someplace that isn’t a desk. Like on your lap in bed, maybe? Take a ponytail holder that you like and cut. 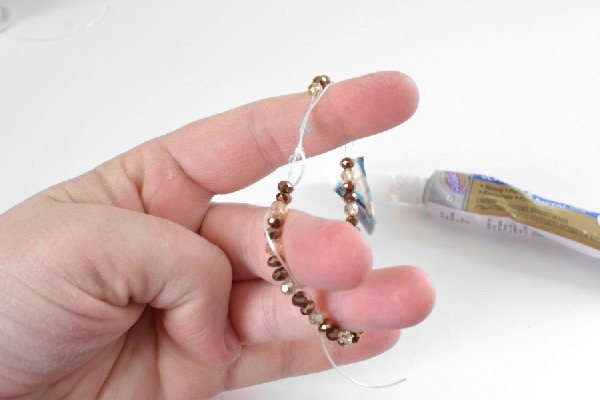 Use that length to work from when stringing on your beads. When you get your length, stretch the cord a good several times to get the give out of it and then knot three times. A simple overhand knot is all you need. Daub a little bit of glue onto your knot and allow to dry. Trim up the cords close to (but not right on) the knot. 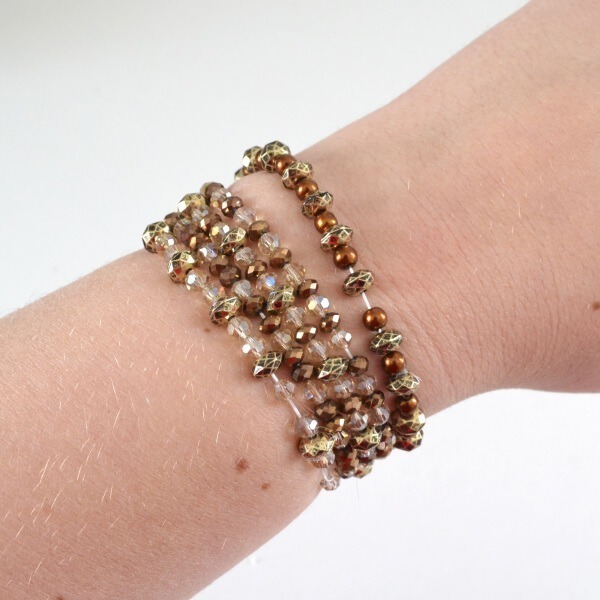 …or so that they look nice on your wrist! What do you think? 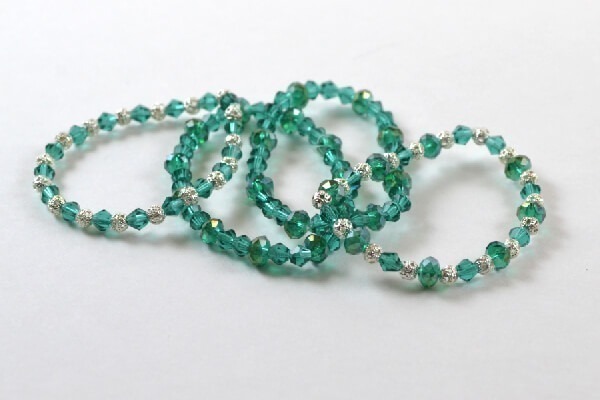 Will you be making some wrist and hair beaded ponytail holders? 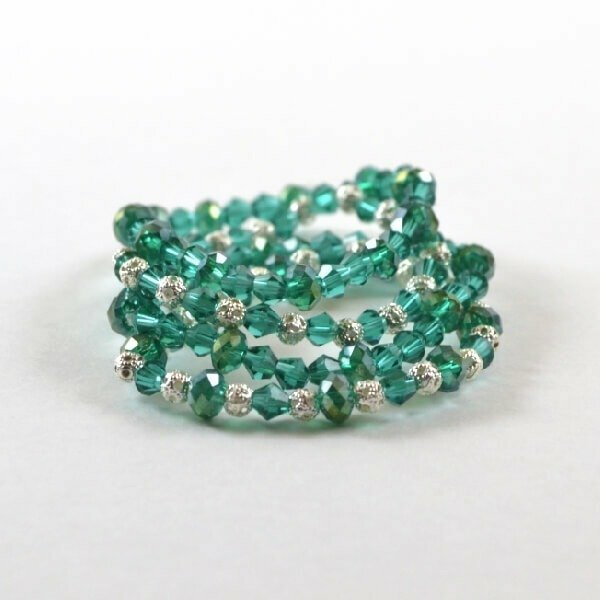 Oh, and while I have you, feel free to check out some more of my bracelet posts! I LOVE these!! 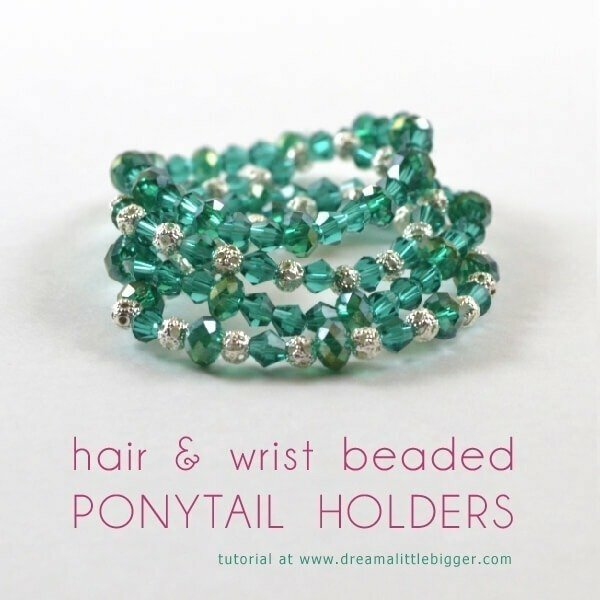 I’m always looking for pony tail holders but if they were on my wrist, it would be easier! Any chance though that you know if the glue stays? Every time I glue an elastic bracelet, it falls apart. On Tuesday, I’m starting a High School Dec Arts class. 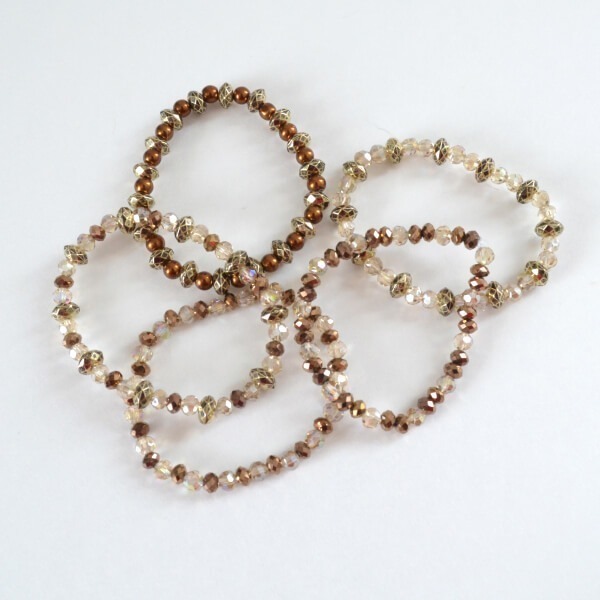 These bracelets will fit in perfectly to the curriculum. Thank you so much! !